Lung cancer remains a serious health threat with less than one in five patients still alive 5 years after diagnosis. This is mainly due to the lack of modern treatment options for the majority of patients, which still receive classical chemotherapy. However, Emilio Casanova and Herwig Moll from the Ludwig Boltzmann Institute of Cancer Research (LBI-CR) and Medical University of Vienna (MUV) now describe in the journal Science Translational Medicine that the established drug Afatinib may prove an unexpected therapeutic option for many patients. 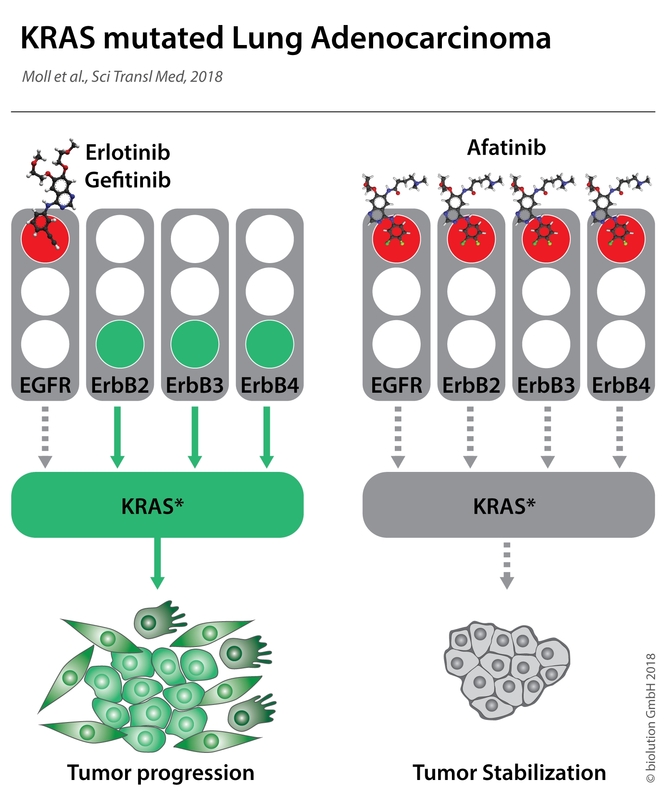 They and their collaborators identified the inhibition of the EGFR receptor tyrosine kinase family by this compound is surprisingly efficacious in tumors harbouring a mutation in the KRAS oncogene. 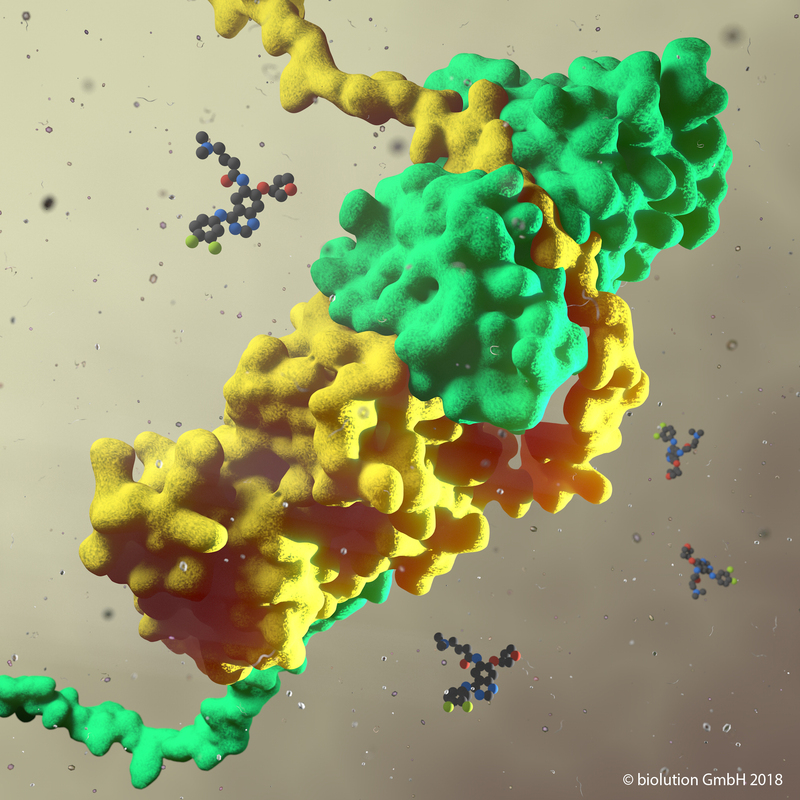 As up to 30% of lung tumors display such mutations Afatinib might constitutes an additional therapeutic option for a patient segment suffering from this particularly aggressive form of the disease. Modern cancer drugs targeting specific oncogenes have revolutionised anti-tumor therapy in the last decade. Many patients benefit from modern therapeutics with longer survival and higher quality of life. But lung cancer remains a deadly disease, with 1.6 Mio patients dying every year. 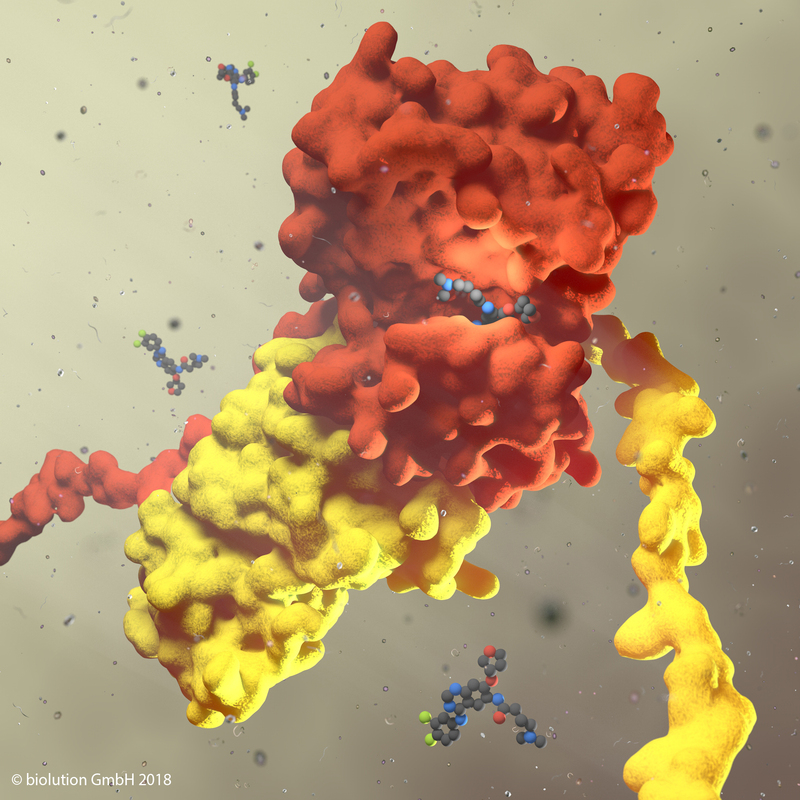 Only a minority of patients with mutations in specific receptor tyrosine kinases of the EGFR-superfamily have been receiving modern therapeutics. The EGFR molecule is activated at the cell surface by binding EGF, which triggers activation of intracellular signalling molecules including KRAS. However, the downstream effector of the EGFR-molecule (KRAS) is frequently mutated in lung cancer and hence for the majority of patients EGFR inhibitors were not considered as an option. Indeed, the dogma was that in the presence of mutated KRAS the pharmacological inhibition of EGFR was ineffective and initial clinical trials with first generation EGFR-inhibitors confirmed this assumption. Herwig Moll has now challenged this view with an extensive analysis of lung cancer mouse models. Animals harbouring a clinically relevant KRAS mutation in the lung develop tumours and die soon, while mice with the same mutation but lacking the EGFR have a significantly longer survival. Tumors appear at a similar time in both mouse strains, but those lacking the EGFR progress slower and therefore the mice die later. A more detailed analysis of these tumours revealed that KRAS mutated tumour cells proliferate faster with a functional EGFR-complex in the cell than without. The increased survival time when EGFR expression was ablated could be traced to a reduced KRAS signal. Most importantly the genetic ablation of the EGFR could be mimicked by Afatinib treatment, a modern EGFR-inhibitor able to interfere with signalling of all four receptors, in several experimental models of human and mouse lung cancer. “We are excited about providing evidence that Afatinib may be a rational therapy for a large number of lung cancer patients,” states Emilio Casanova, lead author of the study. 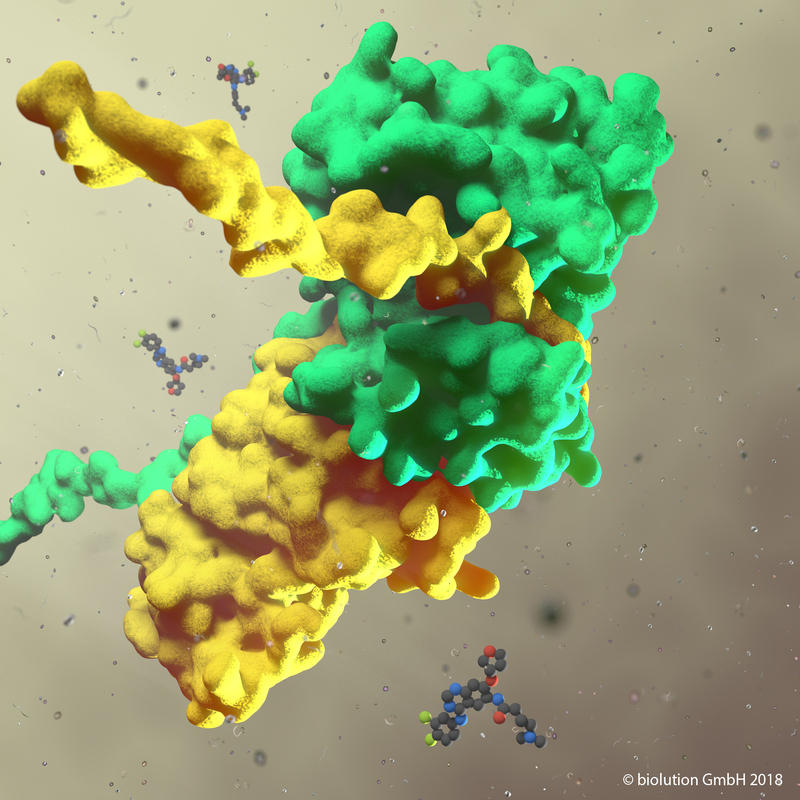 This clinically approved drug might therefore provide an effective therapy for lung cancers with KRAS mutation, which are frequently associated with the most aggressive form of the cancer. Smoking is the single most preventable cause of cancer and clearly we all should support legislation to protect the general public from its negative health effects. 85% of lung cancer patients are smokers and many suffer from the aggressive form of non-small lung cancer (NSCLC) with a KRAS-mutation, which is particularly difficult to treat,” says Emilio Casanova. While kicking the habit might be the best option to prevent lung cancer, it is reassuring to know that new therapeutic options are on the horizon to alleviate the suffering of those diagnosed with the disease. The new data now published in Science Translational Medicine are supporting a renewed look at genetic diagnosis of lung cancer patients and indicates that lung tumors will respond to afatinib independently of KRAS mutations, thus offering a future afatinib-based modern therapy for about 50% of lung cancer patients. Please also read the comment in Nature Reviews Clinical Oncology by Diana Romero. This research was enabled by TissueGnostics software.